Chess is a game of strategy and great ambition. While many enjoy the game very few can put themselves in the game. If you were to do that, what chess piece would you be? 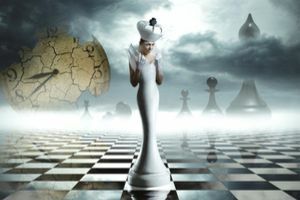 These questions will ask about your personality and your lifestyle to determine which chess piece you are at heart and how that piece best suits your personality. Take this quiz to find out which of the diverse and versatile chess pieces you are. Answer honestly rather than strategically for the best and most useful results.